New Jersey’s The Front Bottoms are set to release the follow-up to their 2011 debut, self-titled LP, called Talon of the Hawk, on May 21 via Bar/None Records. Earlier this week, they revealed the album’s lead single “Twin Size Mattress” in the form of a tour-footage-centric music video. 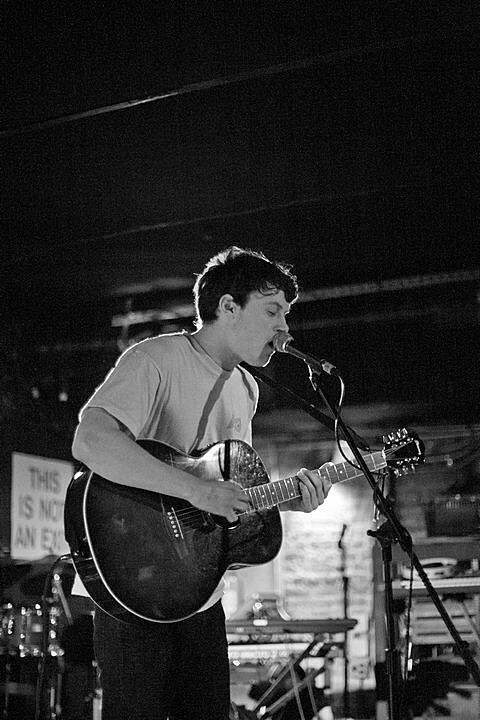 Frontman Brian Sella‘s great, nasally voice is featured prominently in the track, inviting comparisons to mewithoutYou’s Aaron Weiss, The Weakerthans’ John K. Samson, and Frightened Rabbit’s Scott Hutchison. Sella’s got some great lyrics too, like “This is for the snakes and the people they bite, for the friends I’ve made, for the sleepless nights,” and he manages to cram a ton of them into “Twin Size Mattress.” You can check out the video for the track at the bottom of this post. The Front Bottoms will be embarking on a summer U.S. tour in support of their new album. That tour includes a performance at Subterranean on June 27 with A Great Big Pile of Leaves. Tickets the Chicago show go on sale this coming Thursday (4/4) at noon CST.